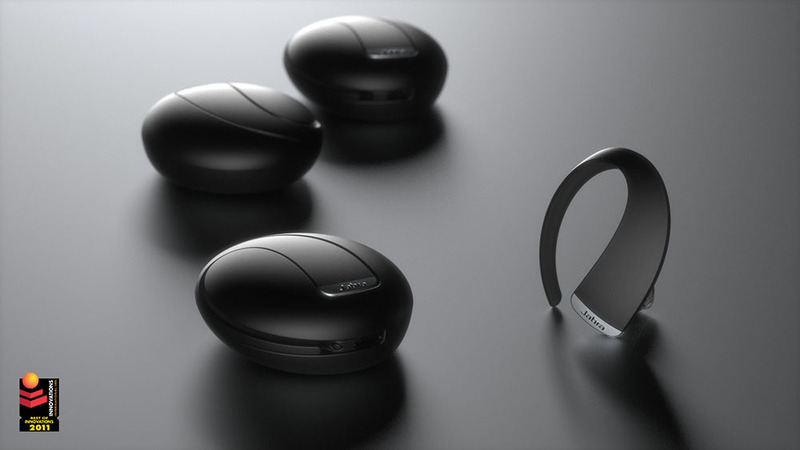 The headset with a new shape, that charges in a pebble in your pocket. Claimed the CES (Consumer Electronics Show, Las Vegas) Best of Innovations 2011 Design and Engineering Award! To read more about the design process and thoughts behind the design you may read an interview with me over at TechCrunch (formerly CrunchGear) here.